Shortage of loco pilots and track renovation works being carried in the state might be taking a toll on rail commuters. THIRUVANANTHAPURAM: Shortage of loco pilots and track renovation works being carried in the state might be taking a toll on rail commuters. But the Railways’ initiative to promote more ‘heels on wheels’ by recruiting women as loco pilots is yet to get a major momentum, even as women participation in other engineering sectors has increased considerably of late. According to sources in the Thiruvananthapuram railway division, it has around 2,500-3,000 engineering staff and of which around 30 per cent are women who include track men, gang men, gatekeepers and other technical staff. However, the number of women loco pilots in the railway division, which had been a male bastion until recently, has risen to five only. 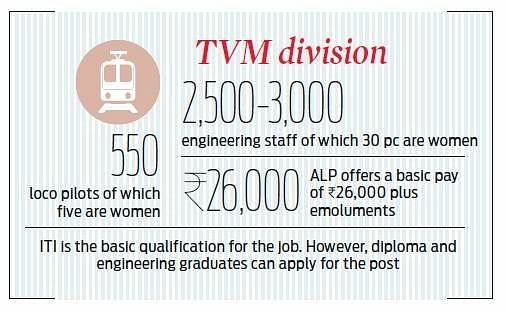 Due representation of women in the loco pilot job in proportion to other sectors is yet to materialise, despite the Railways actively promoting women for various engineering jobs. 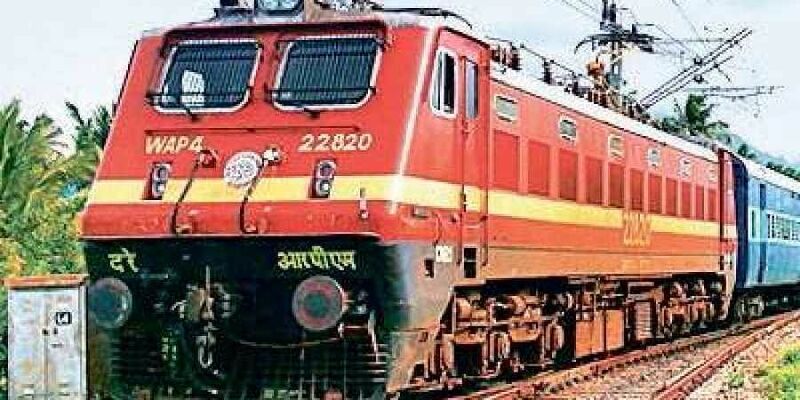 The Railways had recently waived the examination fee for women for assistant loco pilot posts (ALP) and it has reduced the medical standards required for women in Group D jobs when comparing to men. Speaking to Express, the Railways spokesperson said though the number is very less considering the current proportion, the number of women loco pilots will be high sooner as there is an increased women participation in the RRB test held recently. At present, the division has 550 loco pilots and considering the job opportunities opening up in the sector, it is only a matter of time for women to be a major force in the sector, he said. Anticipating more women force, the Railways has started to set up amenities for them like special rooms with attached bathrooms at major halting places. The job of women loco pilot often requires a night stay as the ALPs have to take rest eight hours after one shift before embarking on the return trip. Vidya Sugesh, who recently took up the cap of woman loco pilot, said she started her career in the railways as a gatekeeper and later appeared for an in-house departmental test as she has a diploma in electronics and telecommunication. “Though the work schedule is a bit challenging, the job is very interesting and demanding. I hope more women will be jumping on the bandwagon of ALPs soon in the light of increased women participation in RRB exams,” she said. Recently, Union Minion Railway Minister Piyush Goyal had also made it clear the number of ‘vacancies’ of assistant loco pilots and technicians in the Railways will be around 60,000.